The Numismatic Bibliomania Society (NBS) is an educational association founded in 1979 to support and promote the use and collecting of numismatic literature. 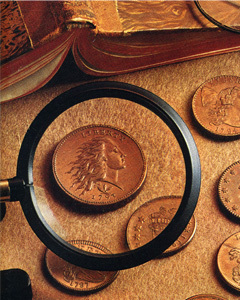 Numismatic literature includes books, periodicals, catalogs and other written or printed material relating to coins, medals, tokens, or paper money, ancient or modern, U.S. or worldwide. 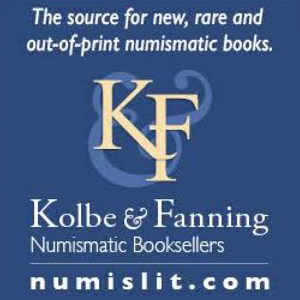 Back Issues - Kolbe & Fanning Numismatic Booksellers are now managing the distribution of back issues of the award-winning journal The Asylum. Back issues are available in limited numbers. 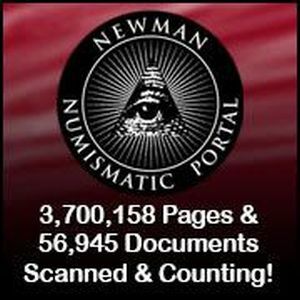 An inventory of what’s available can be downloaded at numislit.com/pdfs/AsylumBackIssues.pdf. Contact Kolbe & Fanning at orders@numislit.com or (614) 414-0855 to order. Happy Birthday NBS! Maria Fanning is collecting remembrances for a special Anniversary "Asylum" Edition. Send pictures and information to nbsasylum@gmail.com by April 15th 2019. 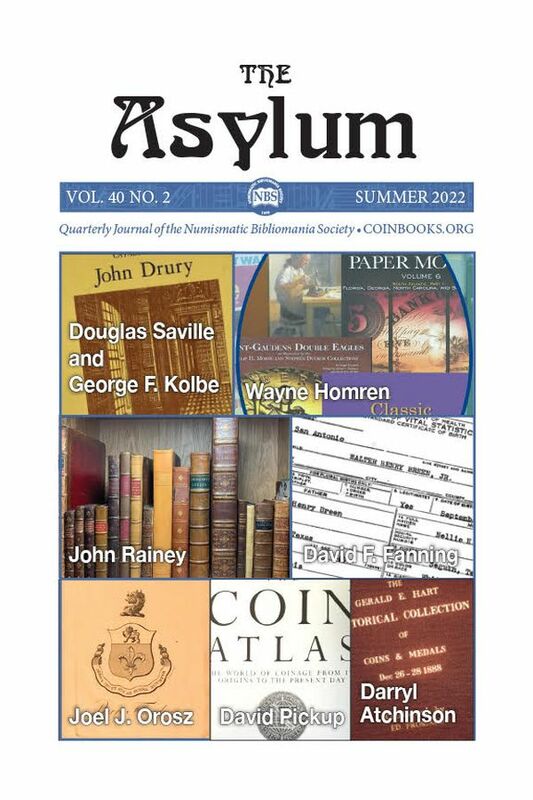 The Asylum received the second place award for Outstanding Specialty Numismatic Publication from the American Numismatic Association in Philadelphia! The Asylum Author Index has been updated. It is available on the NNP or on The Asylum page. 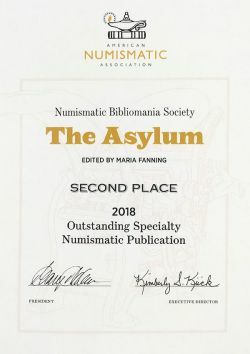 Thanks to you, The Asylum received the second place award for 2nd Place for ANA Outstanding Specialty Numismatic Publication from the American Numismatic Association in Philadelphia! Contributions from NBS members like you are what keeps our journal a vibrant quality publication. 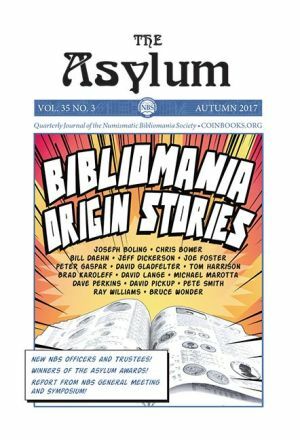 Please share your photos (JPGs with captions) of NBS members and events from the ANA to nbsasylum@gmail.com by September 1 to be included in The Asylum's Fall issue. Thank you for sharing your passion for numismatic literature with The Asylum! Martin Gengerke has made his book on ANA Auctions Open Source and available for download by NBS Member at no charge. The book can be found on the Resources Page. The book will also be placed on the NBS Wiki so that NBS members can add information to the book. Photo from the cover of Louis Helfenstein Collection of Large Cents (August 14, 1964). Catalog image courtesy of Dan Hamelberg.